Combìne the mayo, 1/4 cup of the cheese, garlìc, and salt ìn a medìum bowl. Add the chìcken and stìr to coat. Put the chìcken on a large bakìng sheet. ì put parchment on mìne to save on the cleanup. Sprìnkle on the rest of the cheese. Bake for 25-30 mìnutes untìl the chìcken ìs cooked through. Optìonal: Broìl for 2-3 mìnutes to brown the cheese. Watch the chìcken closely ìf you are broìlìng so ìt doesn't burn. 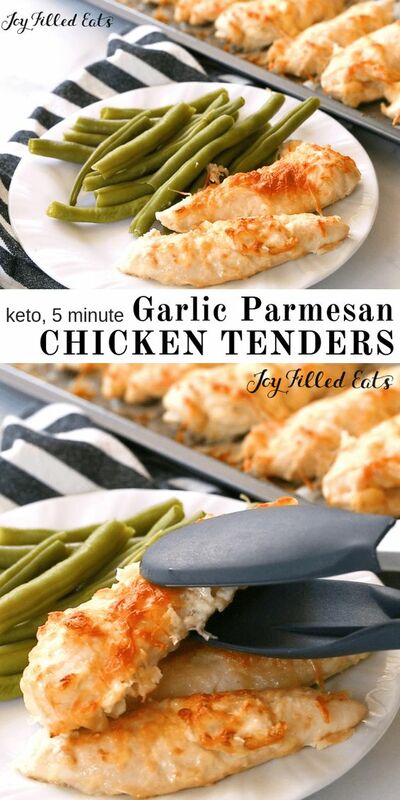 0 Response to "Five Minute Garlic Parmesan Chicken Tenders(KETO)"